Christen Inman attempts to contest the shot. The junior guard said she is unhappy with NU’s recent performance, and hopes the Cats can end their slide during the upcoming stretch against No. 5 Ohio State and No. 8 Maryland. Coming off a pair of losses last weekend that saw them fall out of the AP Top 25 for the first time this season, the Wildcats are not a happy bunch. They aren’t, however, licking their wounds. To bounce back, Northwestern (12-4, 1-3 Big Ten) will need to topple a pair of heavyweights. The Cats host No. 5 Ohio State on Thursday before traveling to No. 8 Maryland on Sunday. To snag a win or two, NU must reverse its recent fortunes. After starting the season 10-0, the Cats are just 2-4 in their last six contests. In its most recent outing, Sunday at then-No. 23 Michigan State, NU trailed by as many as 30 en route to a 74-51 loss. Despite the seemingly tall task over the next few days, coach Joe McKeown said he doesn’t feel any additional pressure. The Cats struggled in several facets of the game against Michigan State, with 3-point shooting and turnovers among the biggest issues. NU shot an abysmal 3-of-26 from 3-point range, with two of the makes coming late in the fourth quarter, and committed 18 turnovers. In the Cats’ 85-71 home defeat to Purdue last Thursday, they shot only 4-of-16 on 3s and gave the ball away 15 times. Limiting turnovers will be key against the Buckeyes, who average more than 20 points off turnovers per game. Despite NU’s shooting woes, senior guard Maggie Lyon said the Cats have no plans to stop shooting the 3-ball. Against Ohio State, NU will face a tremendous defensive challenge. The Buckeyes average 86.5 points per game, good for second in the Big Ten and fourth nationally. Guard Kelsey Mitchell ranks second nationally with 25.0 points per game. Additionally, Ohio State has scored at least 90 points in eight games, including its last two against conference opponents. The Cats, meanwhile, have hit that mark only once this season and have surpassed the Buckeyes’ season average only twice. Traveling to Maryland will hardly be a cakewalk either. The Terrapins’ only losses this season came against Ohio State and undefeated No. 1 Connecticut, and Maryland has been ranked in the top 10 every week this season. 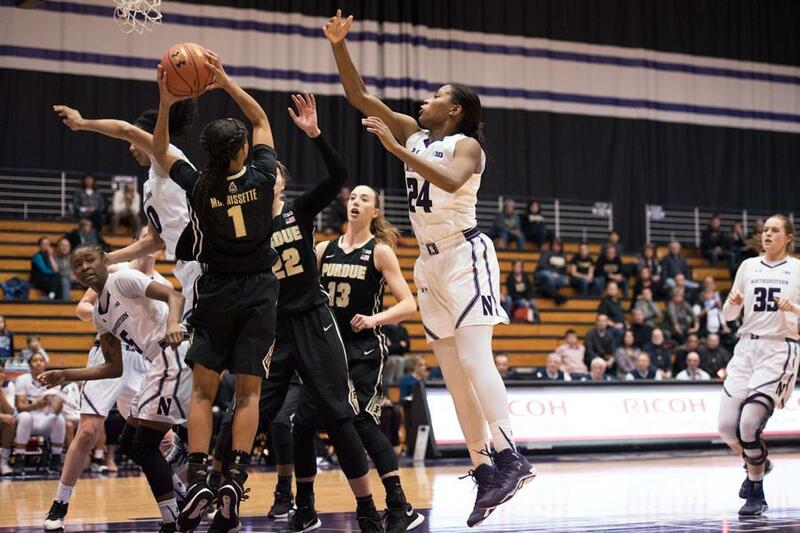 Losing both games would drop NU to 1-5 in Big Ten play and extend its losing streak to four, raising doubts about the Cats’ ability to make the NCAA tournament. Despite the challenges, Lyon said that team morale remains strong.